Ernesto Valverde says it's 'clear' that the Argentine star wants to don the light-blue-and-white stripes again in the future. Argentine superstar Lionel Messi wants to return to playing for the national team and he will do so when ready, his coach at Barcelona has revealed. "It's clear that Messi is going to go back with the national team and he wants to go back to the national team," Barcelona coach Ernesto Valverde said on Tuesday, speaking ahead of the Spanish side's clash with Tottenham Hotspur in the Champions League. "It's the best thing for Barça, to go back to the national team, to be happy and with everything going well, that's what we want." Messi, Argentina's captain, has not been called up for the Albiceleste since the World Cup in Russia this Summer. 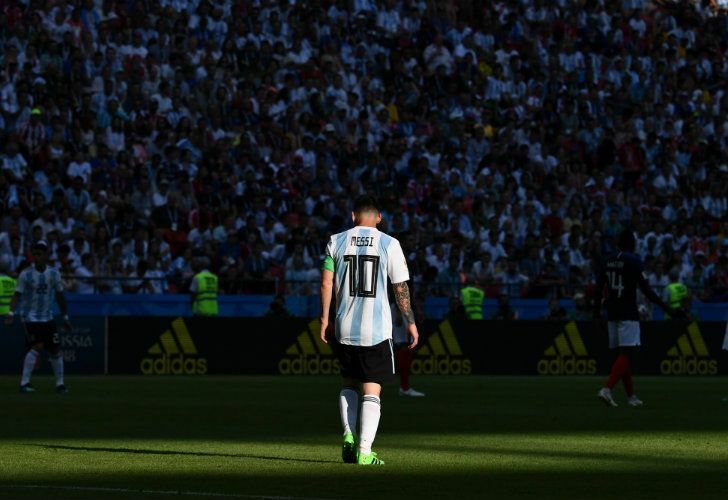 In agreement with interim coach Lionel Scaloni – who is standing in after the resignation of Jorge Sampaoli after the tournament – Messi agreed to sit out a series of friendly matches. "We spoke [with Messi] 10 days ago and we agreed that this is not the right time for his return," Scaloni told a press conference on Monday. The star of FC Barcelona has not spoken publicly about a potential return to the Albiceleste's colours. Messi and other high-profile players, including Manchester City striker Sergio Agüero and Paris St. Germain forward Ángel Di María, have not been called up to the team since Argentina were eliminated 4-3 in the last 16 of the World Cup against France. The latest call-ups have played two friendly matches so far with Messi, with a victory against Guatemala (3-0) and a draw with Colombia (0-0). The Albiceleste are due to play against Iraq on Thursday, October 11 at the Prince Faisal bin Fahd stadium in Saudi Arabia, and then meet Brazil at the King Abdullah Sports City stadium on Tuesday, October 16.